Grilled Corn with Herb Oil | Let's Eat! This recipe is so simple, but it is absolutely the best corn on the cob I have ever eaten. A variation of this recipe is in this months Food Network Magazine. Wrap each ear of corn in foil. I like to cut them in half. Grill for approximately 15 minutes, turning often. In a small skillet of sauce pan, add the oil, italian seasonings, garlic and crushed red pepper and heat on medium for 1-2 minutes. Add the fresh parsley right at the end and remove from heat. 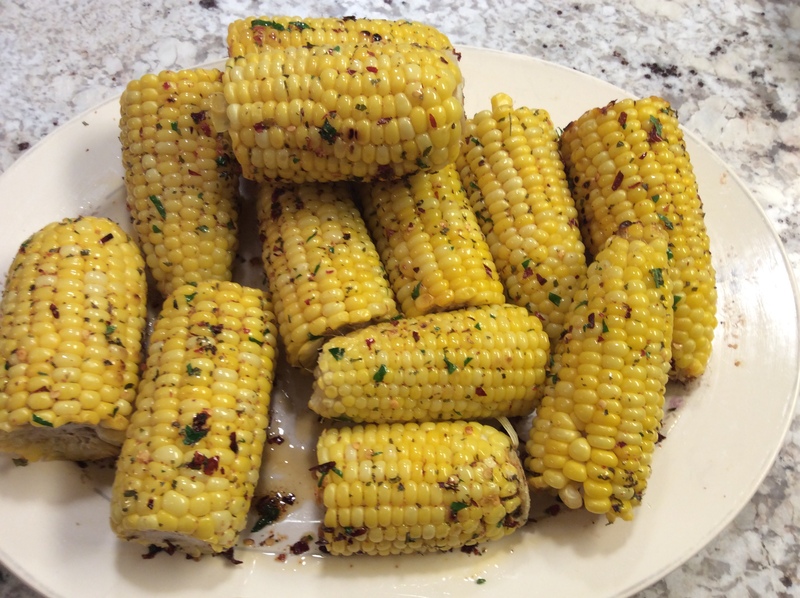 When corn is done grilling, carefully unwrap the ears and brush with the herb oil. The best corn you’ll ever eat! Check out http://www.sundaywithachanceofmeatballs.com for more great recipes! This entry was posted in Main navigation, Recipes and tagged Corn on cob, Grilled corn, Grilled corn with herb oil, Herb corn om cob. Bookmark the permalink.